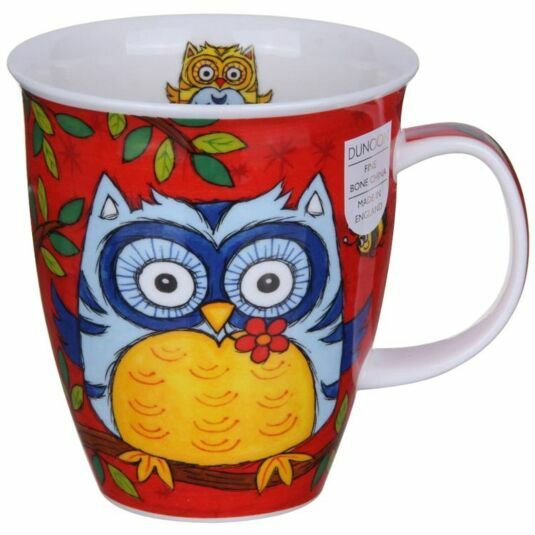 These jolly owls in cheerful colours from designer Jane Brookshaw will enliven your day. This is the red version, an Owl enjoying a summer’s evening. Perched among green leaved branches, with a red flower in his beak, this sleepy blue and yellow owl hasn’t noticed a bee buzzing by. Inside the mug a perky yellow and blue owl prepares for the evening’s hunt. 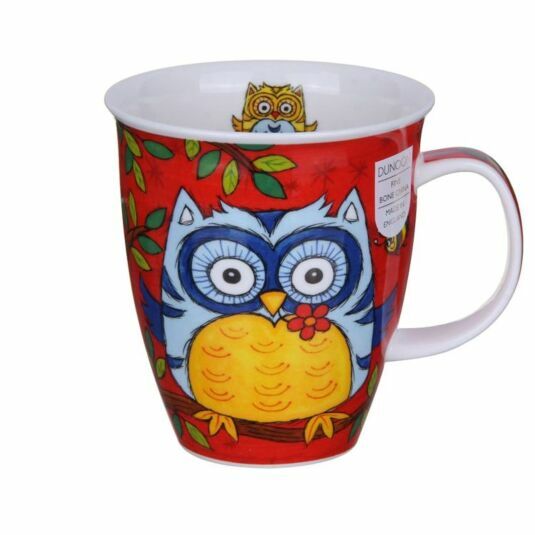 Red, blue and yellow are the main accents of this mug with details in green and brown. Suitable for scholars, teachers, naturalists, bird-lovers or just people who love cute animals and bright colours! If you love this mug, you will probably love the Light Blue and the Dark Blue mugs in the same Owls range by Jane Brookshaw.